Home › Uncategorized › Happy Valentine’s Day! Happy Valentine’s Day from the Pritzker Legal Research Center! 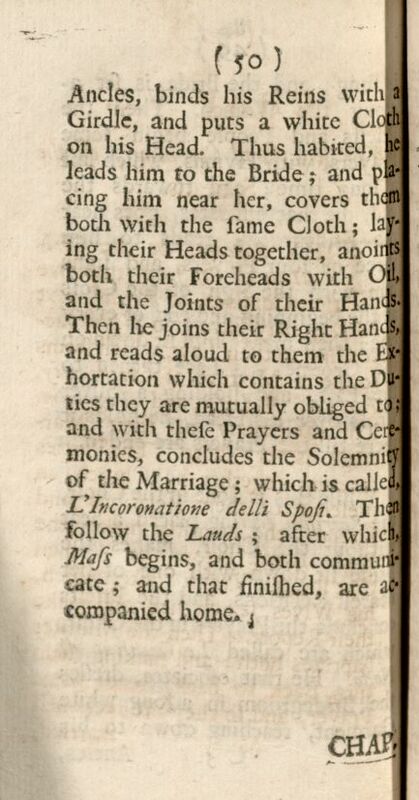 To celebrate today, we’re sharing some images from a particularly appropriate volume from our rare book collection, Marriage Ceremonies: Or, the Ceremonies Used in Marriages in all Parts of the World (1697). 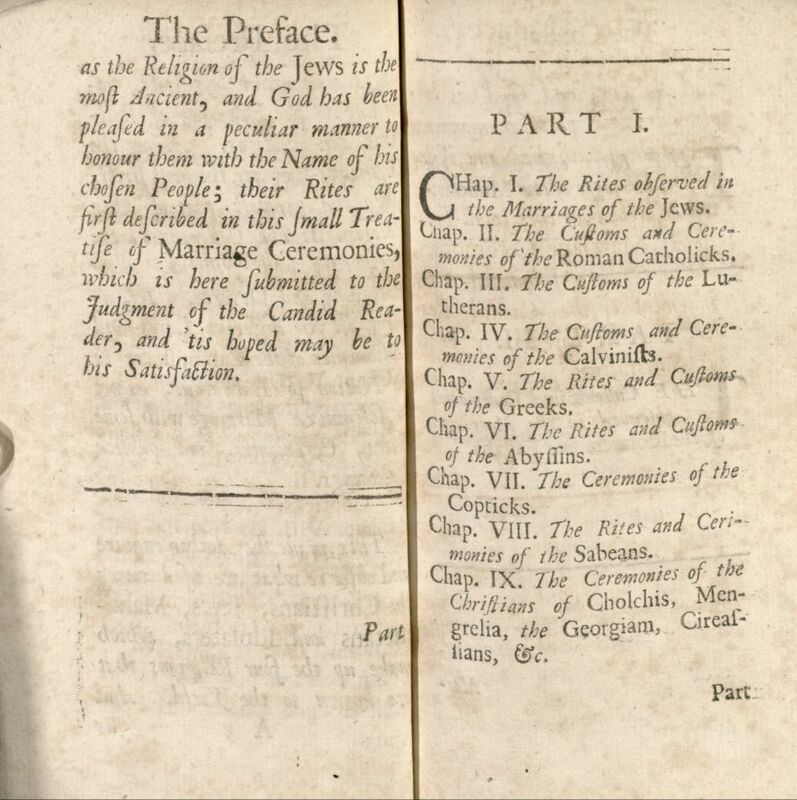 Although this English translation was taken from the Italian, this book was originally written in French by Louis de Gaya, a nobleman and Captain in the Régiment de Champagne also responsible for penning, among other things, a Treaty of Arms (1678) and his own Art of War (also 1678). 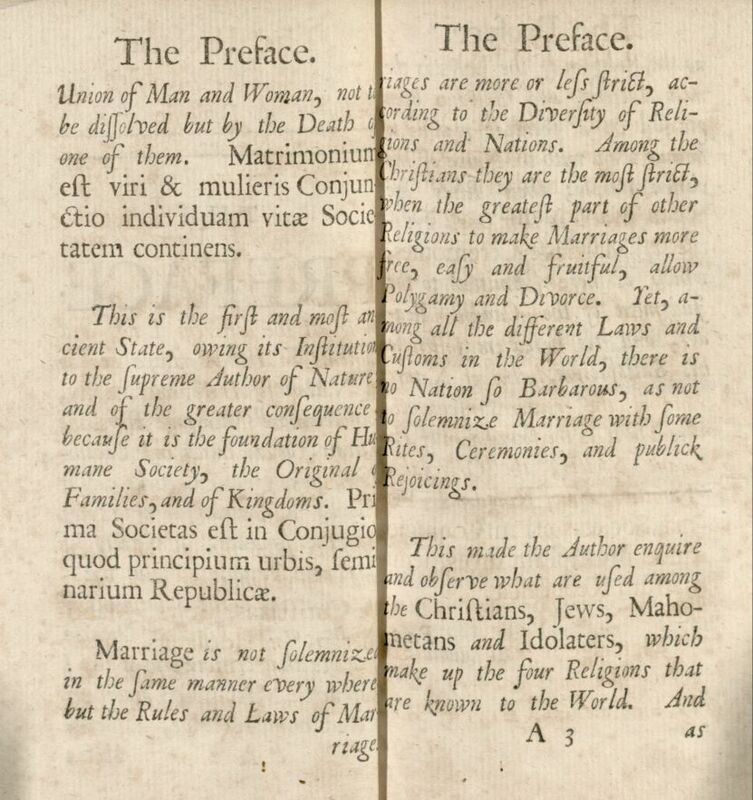 In the preface, the author writes: “Marriage is not solemnized in the same manner every where but the Rules and Laws of Marriage are more or less strict, according to the Diversity of Religions and Nations. 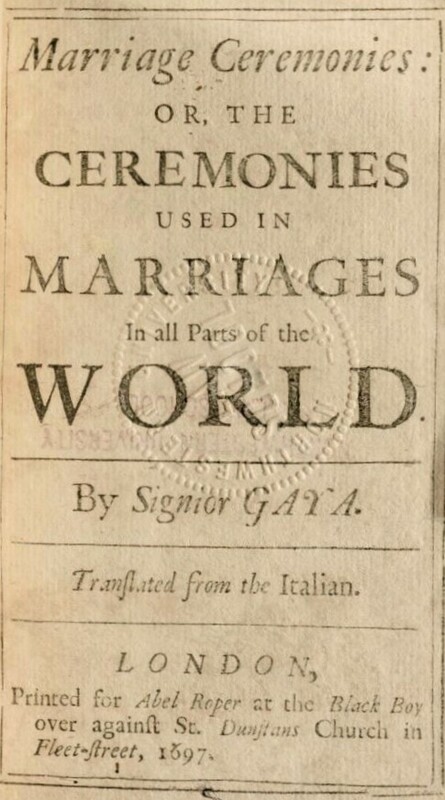 […] Yet, among all the different Laws and Customs in the World, there is no Nation so Barbarous, as not to solemnize Marriage with some Rites, Ceremonies, and publick rejoicings.” In 11 chapters, this little book examines the traditions of at least as many religious groups, albeit through Gaya’s very Catholic lens. 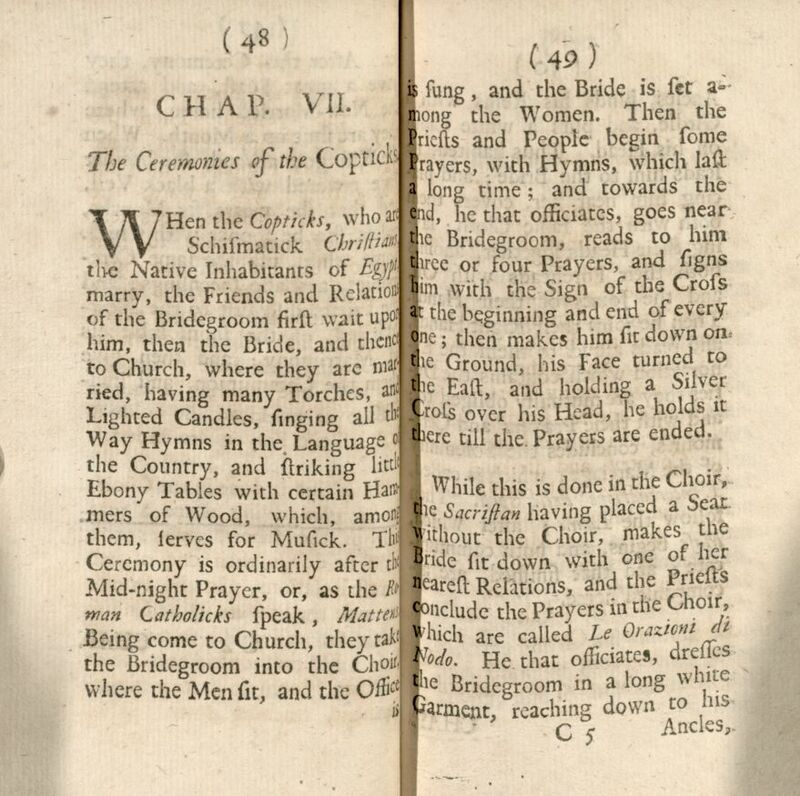 Included here are the preface, table of contents, and the Greek marriage rites, as understood by the author. 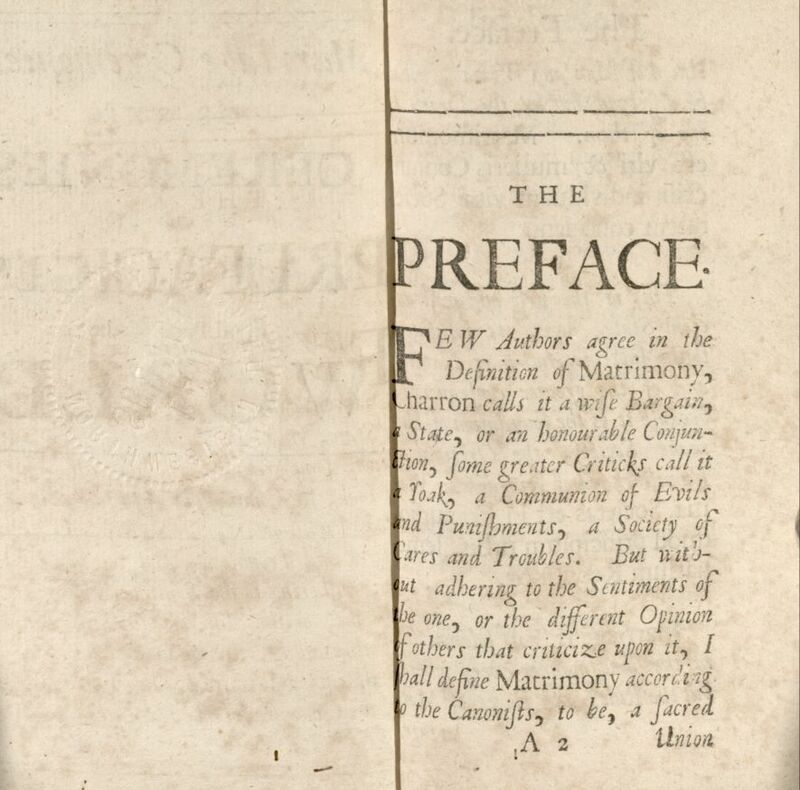 Simply click on the image to read the page. If you’d like to see others, please contact the Special Collections, Digitization, and Archival Services Library at Brittany.Adams@law.northwestern.edu.